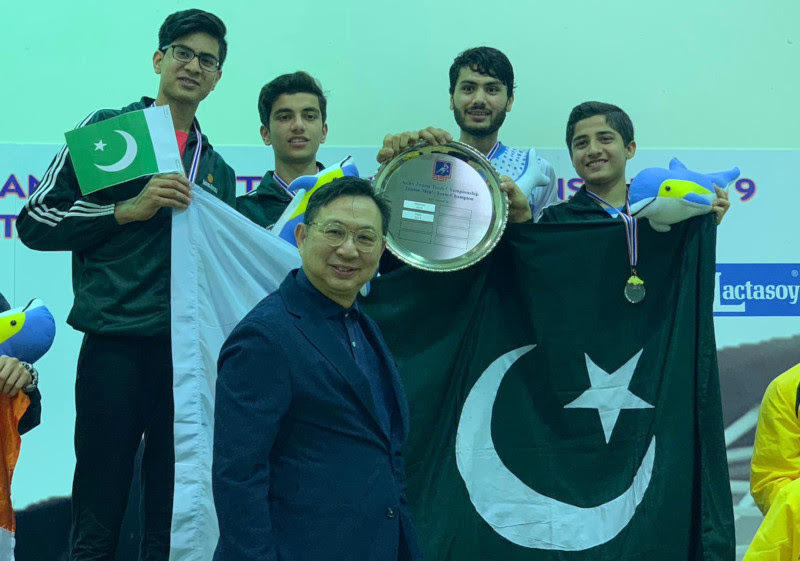 Favourites Pakistan and Malaysia triumphed in the men’s and women’s finals of the 19th Asian Junior Team Squash Championships at the Squash Centre in the Ambassador City Jomtien in Pattaya, Thailand. 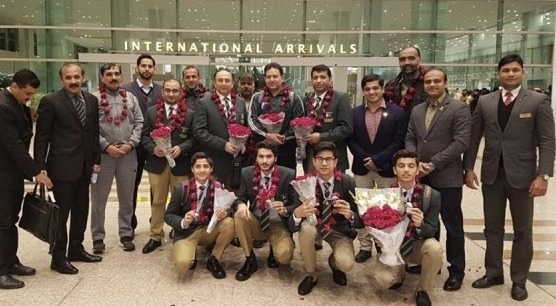 After overcoming Hong Kong China in the semi-finals of the biennial event, Pakistan faced unexpected opponents India in the final after the defending champions, who were the fourth seeds, upset second-seeded Malaysia 2-1 in the other semi. But in an emphatic endorsement of the seedings, Pakistan (pictured above with ASF President Mui) despatched India 2-0 to claim the men’s title for the first time since 2013, but for the 14th time overall. Hong Kong China and Malaysia shared the bronze medal. In a repeat of both the 2015 and 2017 women’s finals, defending champions Malaysia faced Hong Kong China. 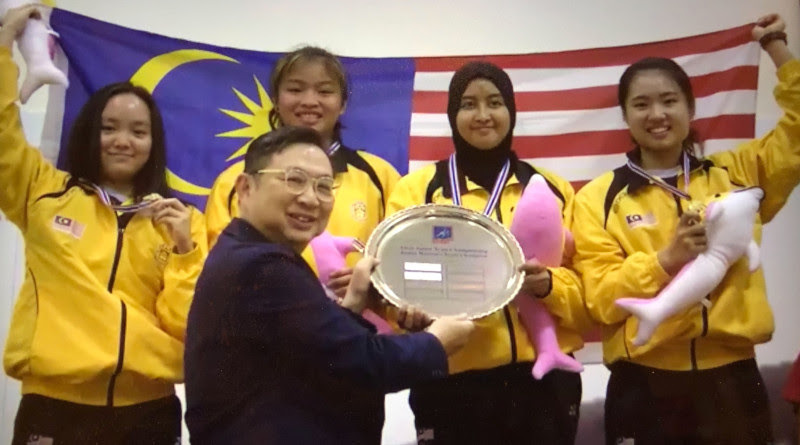 Boasting two players within the world top 100, favourites Malaysia brushed aside their opponents 2-0 to retain the title for the third time in a row. India and Republic of Korea claimed the co-third. The 2019 championships attracted 12 junior men’s teams and nine junior women’s teams. 19th Asian Junior Team Championships, Squash Centre, Pattaya, Thailand.